Accelleral is a dietary formula formulated to aid in cognitive ability and to enhance quick brain performance. It’s obtained from a blend of natural ingredients which work well and quickly and improving mental clarity, clear thinking and recall memory. Who is the Manufacturer of Accelleral? The product is manufactured by a company known as Accelleral. 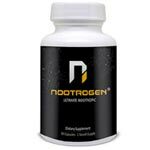 It is claimed to be the best nootropic on the market. This product is a smart pill that has a number of positive reviews and remarks about its working process and safety. 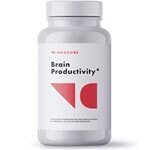 This is a natural nutritional formula claimed to have the ability to unlock long-term memory, improving brain cognitive function and increasing mental focus and attention. It’s manufactured from the use of natural ingredients that are potent in nourishing the brain to improve its health and performance. This supplement is manufactured from the blend of organic ingredients, which work well in improving the brain health and performance. The ingredients used helps in oxygen and blood circulation into the brain, thus improving mental clarity. It also helps in energy supply to the brain, thus increasing cognitive function, mental focus and attention in your routines. Accelleral Ingredients – Are they Safe & Effective? L-Theanine – This is an amino acid which plays a role in energy production, thus increasing mental focus and alertness. It also plays a role in improving the user’s moods and promotes concentration in one’s routines. Choline – This is a potent component in improving recall memory, in enhancing brain cognitive function and in improving learning and information retention. Noopept – It plays a role in raising concentration, protects the users from dementia and helps to improve brain health. It also helps to improve neuron transmission. Phenylpiracetam – It protects brain cell from deterioration. It boosts energy levels in the body, thus increasing brain cognitive function, plays a role in stress and anxiety reduction as well as improving brain health. What are the Advantages of Accelleral? It may help in energy production, thus increasing brain cognitive function, increases focus and mental clarity. The ingredients used in these memory pills help in boosting brain health, thus enhancing learning, clear thinking enhance long-term memory. It’s said to be potent in reducing stress, anxiety and in boosting the user’s moods. What are the Disadvantages of Accelleral? The exact amount of each ingredient contained is not clearly indicated. Some customers complain that this product is much expensive. It’s recommended to take two capsules in a day, on daily basis to acquire the required results. It’s good to consult a specialized doctor before use for more advice. This supplement is not meant to treat, diagnose, cure or prevent any disease. Consult your doctor before use especial those diagnosed with a clinical Cognitive problem or ADD. Do not accept if the seal is broken. This product is claimed to give rapid solutions as changes can be experienced within 30 minutes after consumption. 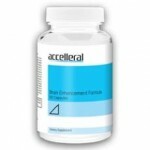 Accelleral is one of the cognitive enhancement supplements, which is formulated to improve brain health and performance. It’s produced from a blend of natural ingredients, which function well in improving brain cognitive function, in enhancing mental clarity and in improving the moods. It helps in energy production which increases focus and alertness. This product helps in energy production and blood circulation to the brain, thus assisting in brain performance and moods improvement. It’s a fast acting supplement with minimal side effects. It contains no artificial additive and its said to improve the general wellbeing of the consumers. This supplement is claimed to have free trial offers, money back guarantee and free domestic delivery. However, the exact ratios of ingredients listed on the official site are not indicated. Details provided by this review are not sufficient to conclude about the worth of this supplement. Therefore, it’s important to find out what has not been revealed before making a purchase.